Sooner or later, we all come home—if not literally, then spiritually, emotionally or psychologically to a place that had a role in shaping us. One day, without realizing it, we are there. And we confront the forces that made us what we have become. We complete a circle. The Adirondacks are an arc of that circle in two outstanding memoirs, at once a player and a stage for settling up with the ghosts of elders. 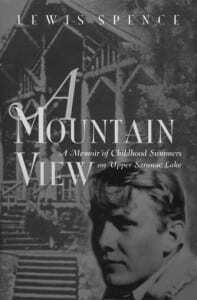 Lewis Spence’s A Mountain View, published posthumously in 2002, recounts the author’s four summers with his eccentric, bigoted grandfather at the family compound on Upper Saranac Lake. Adam Hochschild’s classic, Half the Way Home, first published in 1986, probes the author’s relationship, much of it at Eagle Nest on Eagle Lake, with his distinguished, distant, disapproving father. Lewis Spence (1920-1998) was a reporter for the Schenectady Union Star and later a correspondent for Time magazine. 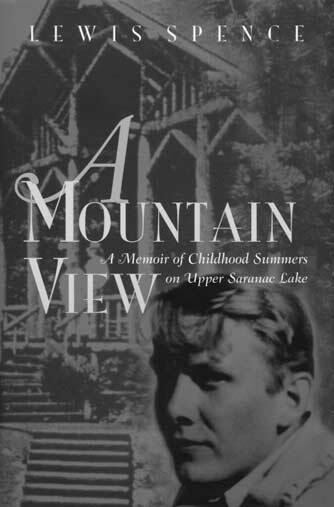 He spent the summers of 1930- 1933, when he was 11 through 14, as the only family companion of his widower grandfather at his grandfather’s 50-acre Camp Woodwil on the north end of Upper Saranac Lake. “It was variously my good fortune, delight, loneliness, and sorrow” to pass the summers of “those sad but golden years” in the company of a man 63 years his senior, he writes. “Grandfather” was John Dunlap, whom Spence encapsulates as “an honest to God, authentically fake Kentucky colonel.” Dunlap was indeed from Kentucky, but he had to reinvent his ancestors as Civil War heroes in order to help his own pedigree along. He made money in publishing, sold out and used some of the proceeds to erect the multi-structured Woodwil in the rustic Great Camp tradition, in large part because he believed that that was what men of his station were expected to do. Naming it for Woodrow Wilson, a distant acquaintance and, much more importantly, a southern gentleman, he completed it in 1929, just in time for the crash to nearly wipe him out. He spent the rest of his life alternately trying to shore up Woodwil, symbol of an era and style he refused to surrender, and sell it to people of his social status, who didn’t have any money left either. I often think of Grandfather as a prototype of the twentieth century’s prosthetic man, someone who would think nothing of checking into the hospital for new hips, knees, or kidneys. Though Grandfather was a bit too early for such handy replacement parts, to my child’s eyes there seemed to be few organs in his body that modern medicine hadn’t tinkered with. If he didn’t have his cane, he walked with the lurching, staggering gait of Ahab in a typhoon. Shed of his toupee, his pate was as smooth and polished as an inverted chamber pot. He wore false teeth, was blind without his glasses, and was hard of hearing. Finally, because of a hernia, around his groin he wore a truss that he was continually adjusting. Yet Grandfather was in no way a hypochondriac and carried off these afflictions, and their compensatory devices, with a panache that made me envious, hoping that one day I too might be blessed with them. 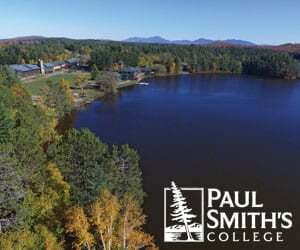 To be fair, in staking out these positions Dunlap was in step with his contemporaries; the nearby Saranac Inn, whose owner was a friend from whom he bought the Woodwil acreage, had a clear and shameless anti-Jewish policy, as did many Adirondack hotels of that era. Part of the effect of all that was, thankfully, to persuade the next generations—Spence and his peers—in the opposite direction. Other characters came with the Woodwil package. Principal among these was the handyman Oscar, a profane, filthy, perpetually farting Swede who was the perfect foil to the old man’s phony propriety. It was with the barely competent Oscar that Lewis had some of his best times. We meet Oscar’s stoic wife, Julia, a superb cook whose kitchen skills were the reason the Colonel put up with Oscar, and whose running battles with the coal stove, and with Dunlap, are hilarious. Another role is filled by Woodwil itself. In its “contrived rusticity,” Spence sees, from the vantage point of years, that it was in many ways unreal. It provided isolation from the economic realities of the times even as it succumbed slowly to them. Spence writes of the wood bugs that got into the main house, “so that summer evenings over cribbage or dominoes were punctuated by the grinding crunch of the insects munching away under the bark” that sheathed the structures. It was not just a building they were devouring; it was a way of life. 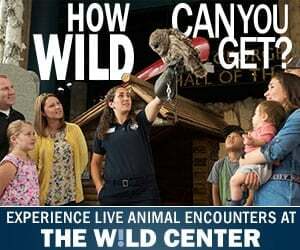 But Woodwil was also where Spence learned to paddle hike, build a campfire, and appreciate the flora and fauna of the woods. He took that knowledge with him, passing it on to his own children and grandchildren, who today have more modest places on what’s left of the estate. It’s the relationship between Lewis and his grandfather, though, that binds the narrative together. Despite their differences of age, temperament and attitudes (Spence calls theirs an “eccentric pairing”), the two got on well. They had, Spence explains, a love of the Adirondacks in common. Perhaps because the young boy honored the old man in this way, Dunlap let Lewis be himself, find his own amusements, hang out with the “help.” “It was the indulgence and freedom at Woodwil that made me love it so,” Spence writes. Thanks to this, Spence can see past his grandfather’s faults, look closely at their times together and laugh affectionately at both of them. Balancing the inevitable pathos of growing up, growing old, dying, and dealing with a doomed white elephant in the Adirondack woods, there is much humor in these delightful recollections.